The perfect collector’s item – a beautiful facsimile edition of A. B. ‘Banjo’ Paterson’s classic ballads, published by Angus & Robertson during World War One as a gift from home to the soldier in the trenches. 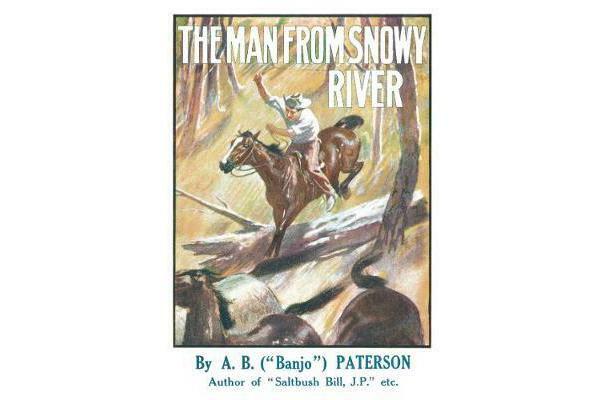 The Man From Snowy River, published in 1917 while Banjo Paterson was on active duty in the Middle East, includes his arguably most famous ballad. Some of the verses, as a note from Paterson points out, had never been published prior to the Pocket Edition edition, which made it an especially exciting publishing event for a war-shocked public. This historically important facsimile edition, published to commemorate the centenary of the end of World War One, has been minted from one of eight extremely rare books of poetry originally published by Angus & Robertson as Pocket Editions for the Trenches – designed as little reminders of home for soldiers to slip into a pocket and carry through the fighting int he trenches. It features original layout, illustrations by Norman Lindsay, advertising and blurbs, as well as a dust jacket, which is missing from nearly all of the extremely rare extant original editions.